And I do mean BUT…I have also become aware of another problematic byproduct or perhaps an unintended side-effect of some of the warnings and information that we’ve been given about how to do missions and ministry. I call it the “Paralysis of Generosity”. I define it as “the effect of being inundated with so much information about the failures and incorrect ways of being generous or kind in missions and ministry that people just don’t do anything since they aren’t sure what they can do that won’t be criticized.” Now don’t worry. I am not about to argue for irresponsible spending sprees or reckless, uncalculated giving to the poor or any other destructive method that we know for sure has proven to be dangerous or counter-productive in the past. However, I think at times we need to balance the scales or be reminded that there may be another scale altogether that matters to Jesus too. So, I read this story about Jesus getting anointed at Bethany in Mathew 26:6-13 (See also John 12:1-8) and something jumped out at me that I had never noticed before. Just days or hours away from his death on the cross, the culmination of his work and ministry on earth, we find Jesus hanging out with close friends at the house of Simon the Leper. Then out of nowhere this woman comes in and begins to pour perfume on Jesus. We don’t know if Jesus knew her from before or if anyone knew her for that matter. We don’t know if she was already there or if she just walked in to the house. We don’t know her name, where she was from or where she went afterward but we do know what she did (Matthew 26:6-13). And as unusual as it was, it turns out that what she did was a symbolic act to prepare Jesus for burial and it also created a lot of conversation among the disciples. It seems that the perfume the woman used was extremely expensive. It was actually worth about 300 Denarii which is equivalent to a year’s wages in Jesus’ day. Today it might be like paying $25,000 to $50,000 or more for just one bottle of perfume or cologne! Yikes!!! Strategy and stewardship are critical and important and should always be in our minds but there is another critical category that we must also make room for called “things that are just beautiful to Jesus”. These are the things that are unforgettable to Jesus and thus he wants others to remember them as well. Radical love, devotion and sacrifice for Jesus Christ are too beautiful to not remember and we should never be afraid to show them to Jesus. Even if Jesus is the only one that understands and approves, we need not be afraid. Even though we want to be strategic and wise and careful in our ministries we cannot afford to forget that there is this other category for “beautiful things” that Jesus loves to see too and it is Jesus that we live for! May the Lord lead you in your strategy and in the romance of your love for him may you also still surprise him with the beautiful things as well! What’s new with the Fowler boys??? Life is just what happens when you’re planning on doing something else and that describes what’s been going on with our three boys! It is incredible how fast they are growing up! We’ve noticed that shoe size and grocery bills seem to be going up together! Ethan is now almost 14 (as of Sept. 5), Ezra is 11 and Eli is 8! 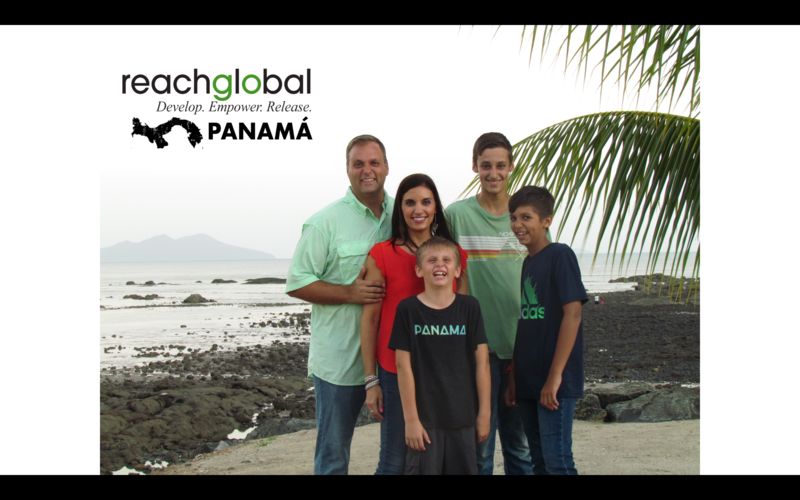 They have been and will continue to be our first ministry and a vital part of our missionary team here in Panama. They frequently help us at churches, the orphanage, with hosting teams and other guests and when we go to the Indian villages but lately their new passion is….Baseball! Below are some snapshots from their lives in the last few weeks. We’re proud of our boys but we invite you to please keep them in your prayers as God is forming them into the men he wants them to become! Would you commit to praying with us for them to become global Christian leaders for Christ in their families, churches, communities & the world? That is our prayer as their parents and it is certainly a desperate need for the world we live in today too! Eli with some of his teammates at a tournament. Eli with Pastor Seth Fagerland at the Indian Village. This rock was a group effort and deserved it’s own photo opp. Ethan and other youth from Rockpoint Church working on excavating rocks. Ezra found this sign at the sight of the new house that was built for the Global Fingerprints family. It says “God Bless this home!” Pretty cool. Ezra and Elvis enjoying breakfast together! Eli and Mom on a date! I remember that morning so well. We had decided to spend the night at Bianca’s Mom’s house just to give her a little more time since we figured she was the least likely of our parents to visit us in Latin America. Her cancer had made it almost impossible for her to fly on planes by that point. I myself could barely sleep that night. I woke up early to journal my thoughts. Since it felt like a momentous occasion, I thought I should record what was in my mind for posterity. I remember the snow outside. I remember it still being dark. I remember loading up the kids and Bianca in her Mom’s Blazer and thinking “Is this really happening?”. I remember seeing almost all the family in the airport that morning. So many had come to see us off and it was such a cool blessing to leave with that feeling of support. I remember friends helping us move all those bags. I remember our boys receiving gift bags with binoculars, candy and Steelers stuff. It was such a sweet goodbye that morning. It was also a hard goodbye that morning. Bianca’s Mom hated saying goodbye so she didn’t come to the airport that morning. That was also the last time I ever saw my Grandma alive. We knew we were walking away from a lot of people that we loved and opportunities that my kids were never going to have. We would not have easy access to a lot of the things that we had always known or depended upon. We were walking away from the comfortable and familiar and into the unknown and unpredictable, intentionally. We were trusting that the Lord was going to meet us and I can tell you now, he has. It has been quite a journey for the last 3 years. More has happened than I can recap. Some days we have seen unforgettable surprises that God had waiting for us but not all of them have been fun. In fact, I would be lying if I had told you that we enjoyed every experience we’ve had. Many days have been very, very hard but we have learned again and again that our enjoyment is not the point! God is actually developing our faith and he puts that way ahead of our comforts and feelings! And I have a sense that we are not unique and he works that way with all his followers. I want to testify today specifically, to the fact that if you step out and trust the Lord and take whatever step of obedience that he is calling you to take, regardless of your fears or what you think it might cost, you will be the one who gains. The one who obeys the Lord always gains in the end no matter what your senses, your friends or enemies tell you! Christ followers obey the Lord because it’s how we show Him that we absolutely love Him (John 14:15) but in the end you will see many times over how much He loves you too! I can imagine that when we post pictures of the things we are doing here in Panama, it can evoke an array of reactions. So for those of you that might have questions allow me to share a little about our work. I will take this last weekend for example. We took an overnight trip to an Indian village in the jungle along the Chagres River and visited an old contact of mine that I have not seen for some time. My friend’s name is Valerio. Our purpose was to see how he was doing and ascertain how my team and I might be able to help him, his family and his church. Now, this information is not new for many of you; nor is it for me. This focus has been part of my DNA since I started in youth ministry years ago and learned it from the Youth Pastor who trained me. The only difference now, is that I am doing this with my team here in Panama! When we approach a ministry opportunity, such as the chance to work with the Embera Indians, an Orphanage or even a church, etc. I start with two basic ideas in mind. First, we want to minister to the whole person. In other words we want a holistic ministry. We want to care about clean water as well as clean hearts; the physical health and the spiritual health and not just one or the other. This doesn’t mean that we give them equal importance because we don’t but it does mean that we recognize that people have a hard time hearing the Gospel message over the grumbling of their stomachs or other glaring problems. Therefore, we must care about the whole person. We have to remember that all of what we do as Christians should flow out of a central, all-consuming love for God and eventually that has to translate into loving our neighbors as we would love our own selves. These points come to mind when I think about starting with everyone being human. Even in different contexts, languages and cultures, there are so many things that make us very much the same. The best book capable of speaking to the human condition is the Bible. No matter where people are physically or spiritually, the Bible has something to say to them. When we go somewhere new or different, we have the opportunity to prayerfully and carefully ask questions and learn about the people and minister to them through God’s Word. This is often a need that people don’t know they have while they are more than aware of the physical needs. We have to walk through a careful process of “assessing and addressing” and it takes time and trust. Through conversation and question asking, listening and learning we find out more about where both believers and non-believers are and we know that the Word of God has something for each of them. If we can work with Pastors we can accomplish things a lot faster. That’s what makes our friendship with Valerio so critical. At the end of the day, we want to see the church here in Panama (meaning all those who, know, follow and confess Jesus as their personal Savior and Lord) strengthened and fortified. We want to encourage individuals and communities to move forward in their spiritual growth and obey the Great Commission here and abroad. In the case of the Indian Village that we went to, these were the 2 lenses that we had on while we were there. Valerio is actively caring for the people but we could see that there are many challenges. For Valerio specifically, one challenge is his training. He doesn’t feel adequately prepared to lead his people spiritually. This comes into play in the day-to-day preaching and counseling but also because they often have different religious groups that try to come and spread their messages as well and he doesn’t always know how to refute them or help his people refute them from scripture though he can see many errors in their thinking. I also personally think that Valerio also has not realized his tremendous potential to reach other Embera Indians yet. He is still thinking about his local context but I believe he is uniquely gifted to have a regional impact if he catches the vision. As for his people, the 115 Embera Indians in his village, it is also complicated. In Panama, there is a clear pecking order. It may be subtle but it’s in the fabric if you look for it and the Indigenous are usually on the bottom of the bottom. From what I gather, the people in his village moved to their location years ago (1960’s/70’s) and it was after that time when the government told them their land was going to be dedicated as national park and the land outside was now considered private property. This meant they were stuck and that in order for his people to continue living in their homes they would need to agree to be a tourist attraction or leave. So now they always have to be ready to “put on a show” of their culture so outsiders can see their old customs and ways. They are not permitted to chop down trees, hunt or plant gardens because it’s a national forest. They are permitted to fish and get jobs in the city if they want but if they want to stay in their village and earn an income from there, tourism is their only option. Though it is possible it is difficult to make a living this way. There are times when it gets really hard between May and December (8 months out of the year) because it is rainy season and most tourists don’t prefer to go far into the jungle during rainy season, which means that Valerio’s village doesn’t get much traffic and therefore not much income. At times during the year, they have next to nothing to live on. It’s very hard for them to buy food and medicine and that is a different level of learning to trust in God. This is the kind of situation that we’re trying to learn how to help in. We are asking how can we, as Christians come into a circumstance like this and offer help and hope? …And care for the whole person both physically and spiritually? It takes time to find these answers but I want to remind you all that this would be impossible for us to truly help them unless we were here in person. For those of you that are supporting us in your prayers and sacrifices – Thank you for being part of this ministry. It is making a difference in the lives or more and more people all the time. Please pray for the Indigenous in Panama and Valerio and his family. Pray for our team to know how to help them best and be an encouragement spiritually and physically. Pray for the spread of the Gospel and a strategy for discipleship among these people. As always, if you choose to support us financially on-going or want to make a one-time donation just click this link and make it happen. Thanks for your love, prayers and involvement! The Chagres River beside the village. We brought a nice dinner of “Tube Steaks” for all! The treehouse of every boys dreams! Valerio making the most important meal of the day…Coffee. Tarantulas coming out of the walls under the house at night. Cool! A few days ago, we celebrated the life of Diane Schultz, my Mother In Law. On March 12, just before midnight she passed away at the age of 64 after a long battle with cancer that lasted 28 years…that’s almost 3 decades. As long as I have known Diane, she has been in her battle at one stage or another. She literally lived in the “shadow of death” for almost half of her life. She was a fighter in the truest sense, like few people I have known. However for much of that time you wouldn’t have guessed she had cancer just by looking at her. On the surface, she seemed so healthy and beautiful but on the inside the disease was breaking her body down. Of course, towards the end it was the hardest, when we could finally see the affects on her physically. It has been particularly hard on all of us but most of all on my wife. Bianca has watched her Mother decline over the years and these last few were from a distance, on the mission field in Panama. As you might imagine, it has been very hard. Feelings of guilt, sadness or frustration have been a constant struggle for her specifically. However there is an incredible list of great things that have come to mind in recent days as well, specifically concerning the story of Diane’s life. When I think about how cancer was destroying her body, I also can’t help but think of another body that was building her and others up at the same time. It would not be a stretch to say that Diane had been an international prayer concern for many years. We knew for a fact that, people from the USA, Panama, Costa Rica, Russia, Belarus, Puerto Rico, Mexico, Brazil, Korea and many other countries have prayed for her! All the people that have known us have also known about Bianca’s mom and carried her in their prayers before the Lord for a long time. As things were getting visibly worse around Christmas this year for Diane, it was believers that stepped up and paid our way home just to see Diane one last time. We had prepared ourselves for a funeral but God had other plans. Diane actually rallied back while we were there and we ended up spending precious time with her for over two weeks. Those turned out to be our last moments to see her alive. We were able to hug her. Talk with her. Pray with her and enjoy her as a family thanks to the Lord and the generosity of his people, the Body of Christ. The night she passed away we received the news within minutes and the next day we purchased a plane ticket for Bianca from Panama. Though we ourselves did not have the money to send her, I had made a promise to my wife that at the very least; she would go home for her mother’s funeral. We had accepted that she would go alone though we were not happy about it because of how hard that would be. Then a few hours after we made her flight arrangements, another Christian family stepped forward to help the boys and I fly home as well to be at Bianca’s side during this past week. It was a tremendous, unexpected surprise. Then as if that were not enough, that same family loaned us their vehicle for the week as well. We were astounded – again! Finally the day of the funeral service came and it was naturally packed with emotion. We were so thankful to see so many people that we love, turn out to honor the life of Diane and grieve with us. Our feelings fell between grief and relief while we cried together and celebrated her life. At the end of the funeral, another Christian man came forward and gave me an envelope that contained cash that sufficiently covered Bianca’s plane ticket. We are honestly overwhelmed at God and the Body of Christ. For all that can be said against the Church regarding all its’ failures, sin and hypocrisy, I can tell you that it is something amazing to behold when the Body of Christ is building itself up! My friend, Ron Moore has remarked on many occasions “Nothing works like the church when the church is working right!” And I completely agree. We have witnessed in the life and death of my Mother In Law, just how awesome God can be through his Body on earth – the Church. We are still praising God for all that happened this past week and will always cherish the privileges we have been given through our glorious Heavenly Father in and through his Body – The Church. If you, your church or someone you know would like to partner with us and support us in ministry click the link below: Thanks and God Bless! Hello Friends! First of all, let me start by saying how incredibly thankful we have been for all of you who have stood with us over the last few years. We started our journey of support-raising for ministry in the Spring of 2012 and it has been an amazing ride. We have seen the Lord do miracles – literally. Things that “should not” have happened and things no one could have known about other than our Lord have taken place that we will never forget. We are constantly in awe of Him and we know that this is and always has been totally his ministry. As long as the Lord provides for it we will continue to walk. That has been our commitment from the start and that hasn’t changed. That being said, we want to let you all know that we are actively and urgently seeking new partnerships. We have had a lot of help come in (especially in December) but most of it has been one-time gifts; These have certainly helped us to make up for changes in commitments and people who have either moved on, dropped off or in a few cases even passed away. What we need now is a renewed commitment from more people who are willing to put in and help us minister here in Panama and we need your help to find them. The amount you can give doesn’t matter as much as the fact that you are willing to help us, pray for us and sacrifice as the Lord leads. When you help us, you are giving to fortify the churches here in Panama. You are sending us as your team to be the hands and feet of Jesus to the children in orphanages, disciple the Indigenous in the Jungles and help the pastors in poor and middle class communities around this country. You are making an impact when you help us and we are your team. Thanks for taking time to read this and being a part of our lives and ministry! What to do about our world? Allow me to connect the dots. When I survey the scene of our world today, I’ll be honest; it leaves me feeling a bit down. Not for the dishonest politicians, or the global refugee crisis, or any other current disaster or dilemma but for one thing more specific…the effects of sin. It ‘s not a surprise to me or at least it shouldn’t be. We are promised in God’s Word that evil will only increase (Matt. 24:21, 2 Tim. 3:12-13) until the return of our Lord. So I know that the Lord is not shocked by the state of our world today but in fact it is why he came. He knew what our world needed, what you needed and what I needed even before we were in existence because of the stain of sin. He could see what it did, does and would do to us. Why am I talking about this? Well I am sure that some people who are like me. You watch the news, you listen to people, you see things happening in this world and you feel like it is just getting so bad out there. I just want to encourage you because if you know Jesus Christ as your Lord and Savior…you are part of the solution to the greatest problem facing mankind today. Maybe you don’t think you are that important or that you could make a difference but that is just what the enemy the Devil would love for you to think. The truth is, you are dangerous to sin because if you know Christ, you know the antidote. If you are a Christian then you know the remedy. Jesus Christ wants to help our world even more than we do and he chooses to use regular people like you and me, wherever he has us. For us it’s in Panama. For you it’s where you are. But as a friend of mine once said to me…wherever you are, be there. Which means, be fully present. Be ready to be counted for the Kingdom. Share the Love of Jesus Christ with people any way you can and any place you can. Never stop. Never give up. Never relent. It is the only solution and YOU HAVE IT. Don’t be discouraged my friends. If you can’t figure out which person to vote for, or if you can’t live over seas to hold orphan babies or you can’t stop people from fighting or lying or killing. Don’t be discouraged. Be bold with your love and the message of Jesus Christ and what he did on the cross more than 2000 years ago. You are full of power and as the darkness gets darker may you respond with even brighter light. Hello Family in Christ! Please keep Panama on your prayer list. Just like in the United States and around the world, the spiritual climate in Panama is changing rapidly. One of the fastest growing groups here in Panama is the Muslims. In fact, less than 20 minutes from my house is a “Muslim Education Center” in El Espino, Panama. It has the capacity for more than 2000 people and they’re in the midst of building it bigger! According to local sources, Muslim followers travel from countries around Central and South America specifically to come here and receive training. Some have even said that this is quickly and intentionally becoming a Muslim capital for Central America. One of the strategies utilized by Islamic followers around Latin America is a “Business As Missions” model. We ourselves have noticed that it’s increasingly common in stores, marketplaces or dealerships to find symbols of Islam or hear praise music to Allah. I share all this to present this as one more reason to ask for prayer for this group of people and the country of Panama as a whole. The people in this country are in the midst of a spiritual battle. The fight for human souls is real and eternity hangs in the balance. We know that our best weapons are spiritual and Christ is our leader. We’re asking believers to pray with us, for us and for the progress of the Gospel, the Church and believers here. It is an honor to stand together with the citizens of heaven. Praying Kingdom-Minded Prayers!